Apples are a fantastic fruit that is a must-have in just about every weight loss plan. At around 80 to 100 calories per apple depending on its size, it’s an easy add no matter if your goal is weight loss, weight maintenance or lean muscle mass gain. Even better, apples are also loaded with dietary fiber that can help you lower your overall hunger level while also increasing your blood sugar control. Apples are one fruit often highly recommended to those with or looking to prevent Type 2 diabetes as they are an excellent way to help stabilize blood sugar levels between or at meals. If you typically only eat your apples as-is, you’re missing out. They are a great addition to your eating plan in many different ways. By getting creative, you can find the means to eat them no matter what meal of the day it happens to be. 1. Prepare Baked Apple Pie. 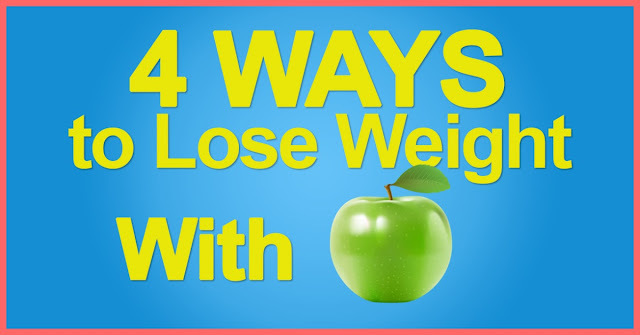 Okay, so you can’t have the full on apple-pie if you are hoping to watch your weight. Not to stress, though – you can have something just about as good. Just slice up your apple and then bake it with a little cinnamon and stevia (along with some unsweetened applesauce if you like), and then when it comes out, top it with a few toasted oats and slivered almonds or walnut pieces. Serve with low sugar Greek yogurt and it’ll feel like you’re indulging in dessert. 2. Perfect Pairings. While an apple can be an okay snack, the only issue is it’s almost entirely all carbohydrates. Ideally, for food to be balanced, you want it to contain healthy fats as well as protein. The best way to do that? Pair the apple with cheese or nut butter. Both are excellent ways to round out this snack and will give you the nutrition you need. Plus, they both taste good with apples of just about any variety. 3. Dress Up Your Salad. Another way to serve an apple is to slice one up and place it on your spinach salad. Apples taste great paired with red onions and a few cranberries along with almonds and spinach. Add a chicken breast and you’ll have a fast and healthy lunch in seconds. 4. Blended Into A Smoothie. Finally, don’t think you can’t serve apples in a smoothie. Most people tend to rely more on fruits like berries or bananas for their smoothies, but you can just as easily add an apple.